Mice often come into our homes to find food and warmth; keeping them out requires some persistence on your part. This is a guide about keeping mice out of your home. For many years now, I've had an annual visitor. Never the same one, but always arriving at the same time and always choosing to set up housekeeping in the same area of my home. Field mice they are. Timid little creatures to be sure. I'm certain that in the wild they did quite well, foraging here and yon. Nature's land was their land. A giver of sustinance to keep the body and blood line going for another season. But, each season ends. Spring's flowers, tender leaves, even moldy crab apples and other bits of fruit are all gone. Summer's grain has been harvested, and its worms, snails and insects are gone, either by death or by secreting themselves for the winter in niches not easily accessible to our tiny, timid friends. It's been a hard life but it's been a good one, all in all. Mind you, there was danger at every turn. The black snake. Quick as lightning! In the blink of an eye, Mister Field Mouse could be inside that slithering serpent, never to see the light of day again. Snakes from below, hawks from above, feral cats close at the heels. Danger at every turn. Danger that was tempered though, by the bounty of the land, a few close lady friends and the many little mice sired to insure the perpetuation of the species. Yes, it's been a good season, after all. But the nip in last night's air will be tomorrow night's first frost, and then a fortnight's hard freeze. One must make preparations quickly lest the end comes much too soon. With a life expectancy of only one year, having a strong will to survive and finding warm refuge in Man's home could mean a doubling of that span. Yes, this little fella has the same innate burning desire as you and I. It wants to live. What attracts these mice to the area under my sink and the lower cabinets on either side is a mystery to me. No food is kept there. No accessible water is there, only cleaning supplies. Yet just as surely as the days shorten and the nights become bitter, I once again hear those tiny sounds as I sit quietly at night. My guest has arrived. He doesn't know he's a mouse a bit more than a dog knows he's a dog. He has the potential of being an excellent and devoted pet. To pass the years with some semblance of remaining Human with human compassion, many prisoners befriended these animals only to find their bonding equaled that of any man and his dog. Were I much younger with lots of time on my hands, I might give it a go at being friends with my guest. I've befriended dogs, cats, birds, bats and rabbits and more. Why not this little creature. He is capable of showing much affection. He just wants to live. And if we were friends, he could ride in my shirt pocket while I went places, poking his little head out now and then for a peanut or cricket I captured just for him. But, I'm old. My patience went the way of my youth. My aches and pains dictate that I not even attempt to house train a tiny mouse. 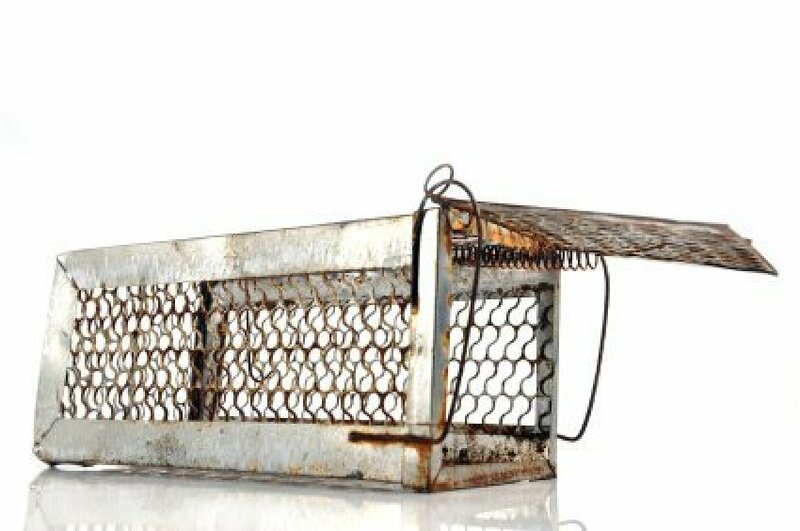 A small spring loaded trap will put an end to my fantasizing of a friendship with this shy, harmless creature. This year has been the odd one to say the least. Spring has just begun and my visitor has made an unexpected and very early appearance. His stay was abruptly cut short by that deadly snap of the spring loaded metal against wood, with his tiny head between the two. A mouse in my house in the Spring? Just a one time thing, for sure. Not so. The very next night, there were more sounds. Heavy, loud sounds. This must be a big one. A larger trap ruled out any doubts. It wasn't a larger mouse, though. It was a rat. Two nights later, another rat met his demise. Three nights later, another mouse. I've never had such happen. Before I could empty the trap and bury the last rat, I heard the sounds of another. This is insane. Why so many and why now? Well, I found out why, but I won't tell it here lest I am thought to be prejudiced against new immigrants to the neighborhood. I take pride in not being prejudiced but I have no control over what other people say or think. This last rat has decided he will stay. He had fitted his new quarters with all manner of accoutrements ranging from bits of tinfoil to cellophane to soda can tabs. He completely avoids any contact with the baited trap. He leaves his calling cards all over the place and pees like a beer hound on Saturday night. I am miffed. I took everything from under the sink and cabinets. I washed down all surfaces with a strong bleach solution. I washed everything I had taken out and put it all in dishpan-like tubs. The wheels started turning. Boric acid will kill ants. It has a burning effect. Once, I sprinkled some on my plants to kill insects that were eating the plants. Over a few days, it burned the leaves so badly, the plants almost died. Well sir, before putting the tubs into the cleaned sink area and cabinets, I spread a thick layer of boric acid all about. I set back and waited to see what would happen. About half an hour later, my unwelcome guest returned. He made his usual entry sounds, then nothing. No scuffling about, no loud gnawing sounds, no constant re arranging of all the treasures he had hoarded. Nothing. Silence. I was hoping the boric acid would give him enough of a hot foot to make him want to stay away. Looks like it did. Or maybe he just doesn't like walking through it. Whatever the case, this is the first night in many where I've been able to sit at my kitchen computer for any length of time and not be distracted by all that racket. The cleaning supplies are in tubs. They wont come in contact with the boric acid. There are no small children about to plunder under the sink. If there were, I would have a lock on the doors. So, there is no reason the acid can't stay where it is. I didn't give life. I figure I have no right to take it. But when it comes to urine stains and rat doo under my sink, philosophy and charitable thoughts go out the window. The boric acid stays, just a much thicker layer than recommended for roaches. With this deterrent in place this Fall, I doubt there'll be any guests for an over winter stay. Suits me. That way I wont have to wrestle with my conscience about how morally wrong I might have been when shortening the lifespan of a poor little creature who had only a year from birth to death, anyway. Due to a huge issue with ants around my home, I always keep a ready reserve of boric acid on hand. It's relatively cheap and relatively safe. After I clean, I always put down a dusting behind and under stove, refrigerator, in all cracks and crevices. Anywhere I think an ant or roach might travel. It has paid off. Unlike my neighbors, I have never had a roach infestation in all the years I have lived here. Now, I have found that just more of what I have been using all along is an excellent deterrent to mice and rats, as well. Several days after my liberal layer was laid down, there have been no sounds or other evidence to indicate another displaced rodent plans to set up housekeeping in my home. 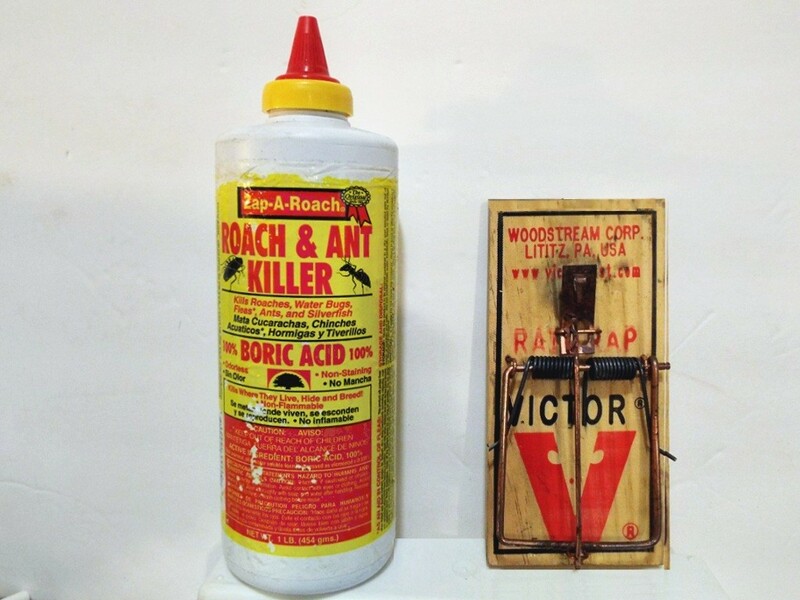 Boric acid will deter mice and rats. A good thing to know. We were so disgusted when we found a mouse had made his way into our kitchen cupboards. We found a half inch space along the bottom of the cupboard doors where the nasty little mouse made his way in. I moved into a new construction 3 years ago. Since then, I've been having problems with mice. I'm not sure where they are coming from. I make sure doors are closed because there is construction around the area where I live and I know rodents tend to roam those areas. Despite of my efforts, I keep on finding mice droppings. At first, I would find droppings inside my cabinets. Since there is no food in any of my lower cabinets, the mice are now outside in my kitchen area. I've used traps and just this year I've caught 4. Where could they be coming from and more importantly how can I make sure they stop coming in? We were plagued with mice & we tried everything! Every sort of trap, bate & poison. Nothing worked! Until we got a mouser! Smokey was a stray cat, left to live in a parking lot of my daughter's apartments by someone who moved away & left him on his own, so we figured we could give him a better home where he could be fed every day & still live outside & sleep in our garage. But we fell in love with the little fella & now he has the run of the house & goes outside too... & let me tell you, not only has he take care of the mice situation, he has gotten rid of our severe mole problem too! We thought having a pet would be a hassle, but he's easy to care for & makes us smile! Go to a shelter & find yourself a cat that's lived on his or her own for a time, these are the very best hunters! Shelter cats come already vaccinated & neutered, so this will save you money too! I knew a guy who kept his garbage on his porch until he'd get enough to go to the dump, & I always wondered why he never had a mouse or rat problem, so I asked him & he said there were 2 stray cats who lived in the neighborhood that he'd sometimes feed & they kept the mice away! Since you live in the land of cold winters, you'll have to let your cat inside when it's cold or you'll have to buy a heated pad for his cat-house. When we first got Smokey, before we let him inside the house, we put a kitty door in our enclosed back porch so he could come inside & we bought a heated pet pad with a thermostat & put this on top of a soft bed made from a folded blanket. It was up off the ground & he slept there every night. Not only did he get rid of all the mice we had, but he continually keeps them out! The long term solution here is to get a cat. It is a cat's job to rid our homes of rodents. That is why we domesticated them in the first place. Cats are very little trouble. Get two so they can keep each other company. And if you want them to keep mice out of your house, you have to let them in the house. And no declawing. These are supposed to be working cats. Cats also are good company, cuddly, and are good stress relievers. There is nothing like a purring cat on your lap to make you feel content. Some cats are better hunters than others, and females are often the better hunters. However, I have a neutered tom that is a wanton killer--mice, birds, squirrels, even once, a jackrabbit! The house next door to us was empty for about 3 years, while the bank that foreclosed on it and renovated it back to habitability. There must have been about 20 people living there at one point. Thankfully, a lovely young couple with two small children, bought the house. The bank, also must have hired an exterminator, prior to putting the home up for sale, and the mice that must have been living in an empty quiet house, have decided to move into "our" house. We can not afford the expense of an exterminator. My husband has set traps, but I think the problem is bigger than just setting a dozen or so mouse traps. I have two dogs and am reluctant to put out poison. Any suggestions? I would prefer to just humanely make them go away, as opposed to killing them, but will consider all suggestions. I'd agree with the suggestion to add some cats to your family if you didn't already have the dogs-who depending on breed might be rather good mousers. If any pet succeeds at catching the mice, though, you might be looking at a vet bill to clear the fleas and internal parasites mice carry and pass on to pets. I moved into a house that had been empty for several years and my cats duly presented me first with their catches (which they then ate before I could catch the cat that had caught the mouse!) and then the vet bill to deal with fleas and parasites. Oh ick! The most important thing is to make your home as unappealing to the mice as you can-no crumbs, no left out food including fruit in a bowl, no dog bowls (right, your dogs will love that-not-but mice are pretty bold and will eat and drink from pet dishes), plugged entry holes including gaps around pipes under all sinks. It isn't easy and it isn't a one time effort-you have to make it part of your regular routine for the rest of your life. Once the search results come up, click through to the site map for your county office and browse the available (and printable-free!) info pages. There should be several pages about controlling not only mice but rats, squirrels, bats, snakes, insects, etc, that like to think of your home as a motel-fast food take away-potential permanent new home. Also lots of great info at the County Extension site on gardening and other home helps-all free, and all on the web. County Extension offices are nationwide in cooperation with all fifty states university systems to provide residents with free or low-cost information resources specific to each county in the system. All of the printable information online is absolutely free. Some services provided by extension office agents do have a low cost fee-water and soil sampling for homeowners, for example. I copied this from thrifty fun about two years ago and have been doing this ever since at my house and Knock on Wood we haven't had a mouse in the house since. I just refresh the Ex-Lax yearly and I put some under our deck outside so the dog couldn't get in and in inconspicuous places in the house that I know he cannot get too. Honestly this has worked. We owned and operated a seasonal fishing camp/resort out in the bush. Our cabins, lodge and washroom facilities were basic & simple. It was a summer business. In the fall we closed down, and in came the mice, although we lived year round on site with 5 cats! I tried everything to protect the cabins, house, etc. from the mice! Now you cannot mouse proof over 11 acres of resort out in the bush, can you? Thanks to a old timer bush man we did. You may laugh out loud at his wisdom on getting rid of mice or other rodents, when you think about how his bush man solution works out in the boonies, with seasonal cabins, a lodge, workshop, garage and our house. Here it is, and it worked like a charm for us. It is to feed them Exlax... super strength if you can. Rodents love Exlax! We placed it outside & inside. If we thought a cat or dog could get at it, we covered it so that only a rodent could get in and eat it. Even if a bigger animal did get it, it wasn't deadly. The old bush man told us. Rodents are smaller, their digestive systems are smaller. A little Exlax goes a long way! Rodents live in communities or families. If one gets sick in "home space". They learn fast and leave for a safer environment. "Gastric Distress and Results" of the afflicted Exlax filled rodent to the community! We thought it was crazy until it worked. The mice were gone and we were trouble free for over 5 years! Easy and inexpensive! Yes, some rodents had diarrhea as they packed up and left, but we never smelled it. Anyway this worked for us up until we sold the resort and moved! PS - As it looks and tastes like chocolate, DO NOT put where kids, adults or pets may eat it! You know what will happen with Exlax! Good luck and happy rodent free spaces! Will moth balls help get rid of mice? My cat is too large to get in the space where the mice are getting in behind my cabinets. I could drop moth balls down there. Maybe the smell of the balls would deter the mice. Peppermint oil on cotton balls. Mothballs can kill your cat. Are you willing to risk that? If so, please just find it a nice home right now, before you deal with the mice. Years ago, I read in Mother Earth News that mice and rats have a one way digestive system, so they can't burp. They suggested putting a lid of soda down and they will drink and go away and stop annoying you. I have also read on Diggs that if you mix baking soda half and half with a cake mix, then sprinkle it around the inside and outside of the "entry ways" it works like a charm. Worth a try, right? The other posters are right, they don't bother with things that they can't eat. They don't have good eyesight so they feel their way along walls and baseboards by their whiskers. And you can put it other places where your cat can get to, without any risk. Is there anything you can put around your house outside to prevent mice in a old home? Any mouse deterrant product would only be a temporary fix and would have to be reapplied. You say you have an old house so there must be many places mice can enter. All openings no matter how small must be sealed from the outside. Especially around any pipes that enter the house and areas under the siding. No easy fix in an old house. In my opinion nothing works better than a female cat. Do the Pest Offense plug-ins keep mice and rats out? How can you keep mice from getting in your kitchen drawers? Get an inside cat. We have not had mice in years. I want to know why mice are digging in my houseplants? I have had houseplants for last 30 years, but never had mice in my home. I live in a mobile home and have 2 dogs. I want to rid my home of these little creatures without killing my plants. What can I put in my plants? I did find the hole they came in and closed it off. What can you suggest? Help. One of the easiest (and safest for your pets) ways to keep mice out of places is to place unused fabric softener sheets in the area. You can use a spring-type clothespin to hook it on the side of the pot. Don't let the sheet come in contact with the soil. You really only want the fragrance and the stronger the fragrance the better. Since you have found the hole they are entering from and sealed that off you shouldn't have more coming into your home. You may, however, have some still in the house with no way to escape. Putting out a small live trap is the most humane way to trap the mice and release them outside. Please, please do not use any of the mouse poisons or glue traps. If you use the mouse poison and your dog ate the mouse it could also die. I am a licensed wildlife rehabilitator and mouse/rat poisons (like DeCon) kill a great many owls, hawks, raccoons, opossums, dogs and cats after they eat a poisoned rodent. The glue traps are just totally barbaric and make the animal suffer. As to the live traps you may be able to borrow one. How can I buy peppermint oil spray to use to get rid mice in my home? Just buy peppermint oil and add a few drops of it to a spray bottle of water. How do you keep mice out of a house which is currently vacant and for sale? Copied from thrifty fun and have been mouse free since using it. I used this first in 2010 and knock on wood haven't had a mouse since in the house. Question: Will Limestone Around House Foundation Keep Mice Away? I heard that packing limestone around the base of your house will keep mice away (apparently they don't like the limestone). Is that true? Crushed limestone is typically used in some areas to create a drainage field around the house. Believe me: it doesn't do anything to prevent mice. Due diligence is the only thing that works. That means keeping things clean, in good repair, and trapping/killing the varmits. Hope this helps. Who can seal the perimeter of my home/ I'm having problems with mice. Orkin suggested I get it done so I can keep the mice out. A good cat or a black snake will keep the mice out. For sealing your home talk to a structure specialist. Ask a construction company if they can recommend anyone. Ask your friends or church members if they know any construction companies that are helpful, and wouldn't mind talking to someone wanting advise. 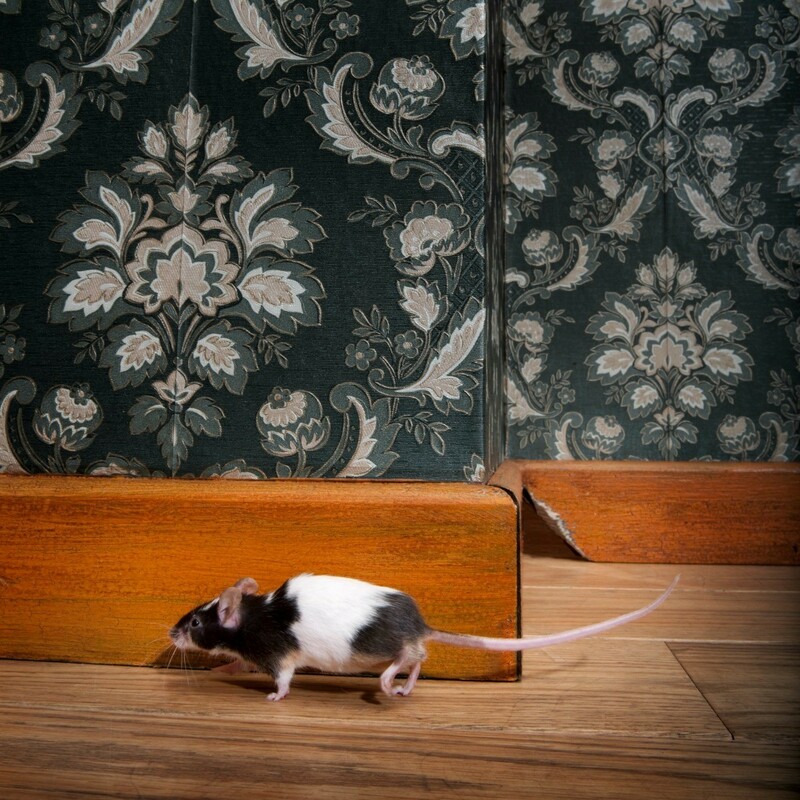 Mice can enter your home through the smallest of holes. Closing up this mouse entryway is the best way to keep them out. This is a guide about mice coming in through a hole in my foundation. Archive: How to Keep Mice Out? Fall is coming to Michigan. I have an unreasonable fear of mice and this is when they are looking to get into the house. We live on a ravine, wooded lot and they love it here. We have spread lime granules around the foundation, bought those electric devices with the high pitched sound to keep them away (worthless) and set traps in the attached garage in the past. My husband recently read that peppermint oil and fox urine are both mouse deterrents. Does anyone know the effectiveness of either of these? Or any other ideas? I'm open to anything, but want to find what works and just keep them away from the house period. Even them getting caught in traps in the garage is too close for me. We do have a small house dog, so poisons are scary. Thanks. How to Keep Mice Out? Buy the original Irish Spring soap (must be the original green soap), peel the soap with a potato peeler so you are making peels. Sprinkle this wherever you think that they are coming in. Keeps out squirrels and chipmunks too. The best thing I've ever found to get rid of mice and rats is a product called Ramik Bars. You can buy these at most farm supply stores or old fashioned hardware stores. They come 8 bars to a pack. You break them up and spread them around where you think the rodents are. They eat them, and they die. We just went through months of nightmare with mice also, called the exterminator who covered up all visible holes inside and out of the house, also discovered that there was a space of about 1 inch behind the wall and the floor behind the stove, dishwasher and back of the kitchen counters, which were exactly where these little critters were coming into our house from the basement. We bought a screen with the smallest holes we could find at Home Depot, pulled stove and dishwasher and placed the screen really well and tight, covered extra holes with steel wool and dropped moth balls in basement and around the outside of the house.